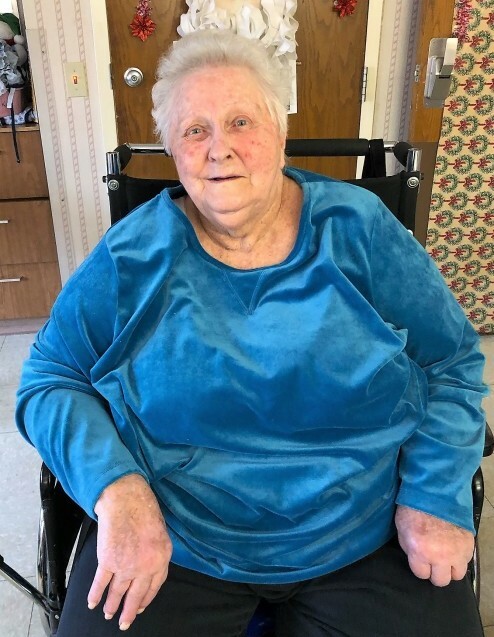 Wanda Eloise (Roosa) Bockus, age 81, of Wellsboro, passed away peacefully on Friday, January 25, 2019, with her family by her side at the Green Home in Wellsboro. She was married to the late Daryl A. Bockus, who preceded her in death in 2014. They shared over 60 years of marriage together. Wanda was born on March 22, 1937, in Deerfield Township, the daughter of the late Hugh and Edith (Gleason) Roosa. Wanda was a member of the former Calvary Tabernacle Assembly of God Church of Wellsboro. She was employed as a Quality Control Specialist with the former Corning Glass Plant of Wellsboro, retiring in 2001. She was extremely talented when it came to crafting, whether it was sewing, painting, quilting, crocheting, or one of many other projects. She created many quality pieces for family and friends, which will be cherished forever. Wanda also had a true passion for music and knew how to play the accordion and piano. She loved to sing and listen Christian hymns as well. Wanda will be remembered by family and friends as being a true leader, always taking charge when needed. Left to cherish her memory are her six children, Steven Bockus (Rachael), of Melbourne, FL, Connie Mounts (Richard), of Muncy, PA, Linda Westbrook (David), of Laporte, PA, Patricia Anderegg (William), of Wellsboro, Gale Geyer (Frank), of Morris and Sherry Blackwell (Greg), of Morris; 17 grandchildren; 29 great grandchildren; one great-great grandchild; three brothers, Elwin, Duane and David; three sisters, Marjorie, Janice and Carol; several nieces and nephews; and many dear friends. In addition to her parents, Wanda was preceded in death by her husband, Daryl, and siblings, Lee and Doris. In lieu of flowers, memorial donations can be made in Wanda’s name to the Dementia Society of America, www.dementiasociety.org/donate, PO Box 600, Doylestown, PA 18901. Family and friends are invited to pay their respects on Saturday, February 9, 2019, from 12 p.m. until 2 p.m., at Tussey-Mosher Funeral Home, Ltd., 139 Main Street, Wellsboro. Wanda’s memorial service will immediately follow visitation at 2:00 p.m. To share your fondest memories of Wanda, please visit www.tusseymosher.com.